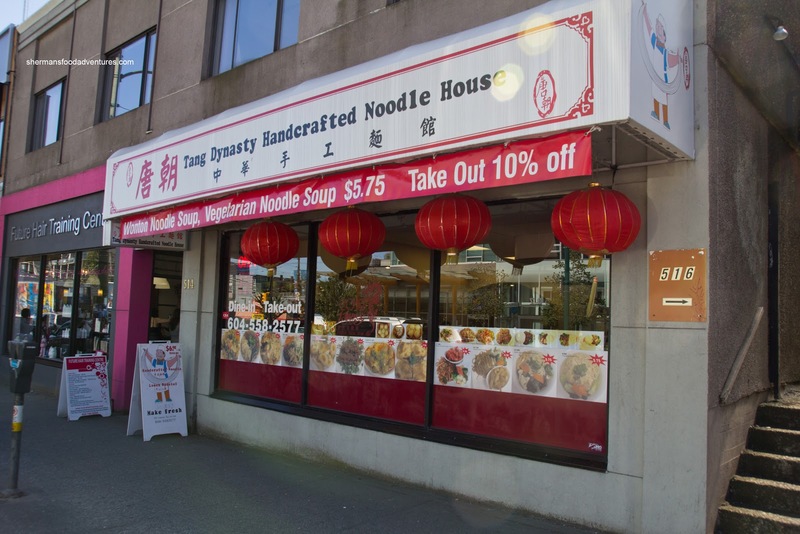 Since we've been to the first 2 restaurants already, I decided to check out Tang Dynasty with Rich Guy and Whipping Girl. And since Rich Guy loves Garlic Pork, we got an order. At first, it was pretty underwhelming. 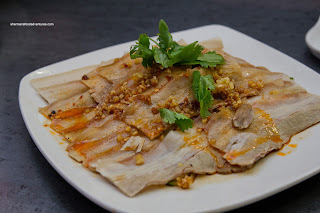 The fatty pork slices were decently tender, however, there was a general lack of flavour. The dish was crying out for more chili oil and soy sauce. We actually added our own soy and vinegar and then the dish sang. We had the Beef Pancake Roll next and it was not bad. The pancake was more doughy than crispy, yet it wasn't greasy nor too thick. 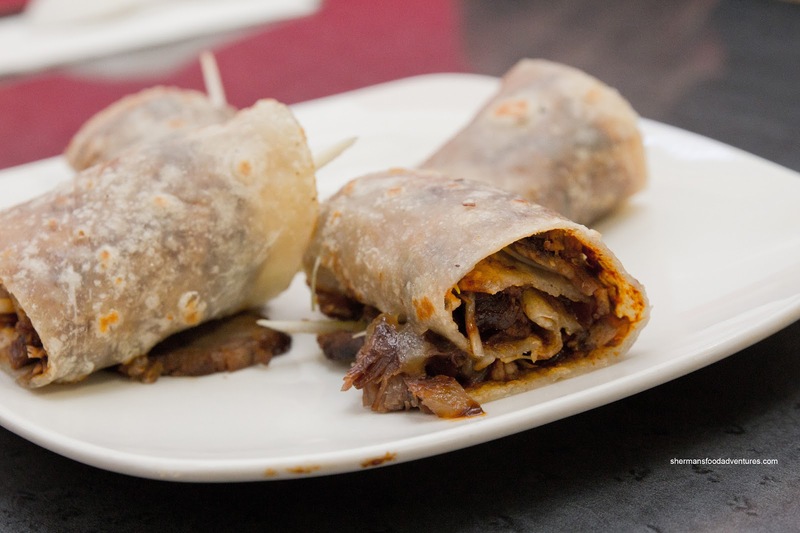 There was lots of tender slices of beef shank slathered in plenty of hoisin in the middle. We didn't mind this version except a fantastic one could be found only a couple of stores down (at Peaceful). 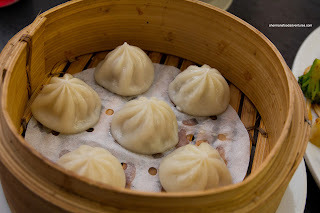 For some reason or another, we dared try the Xiao Long Bao. We didn't have high hopes and that was probably for the best because they were not really that great. The dumpling skin was thick and doughy while the lack of soup made them more of a steamed meat dumpling rather than a XLB. The meat filling did taste okay though. 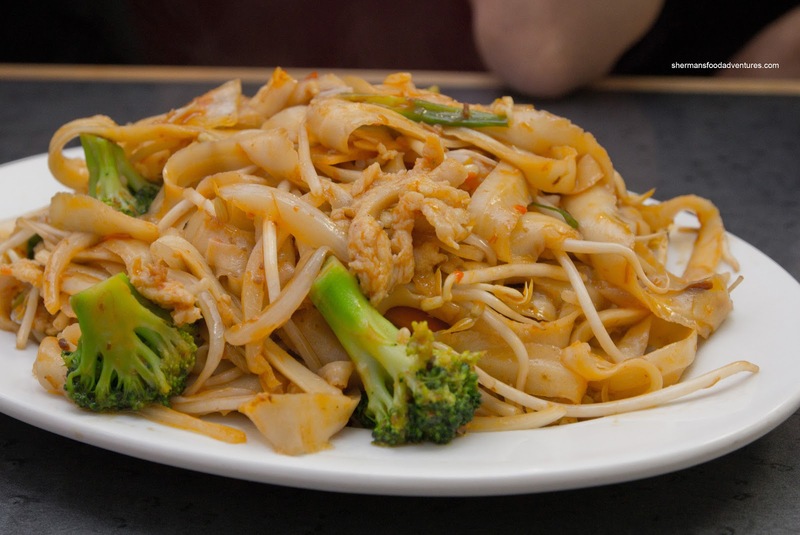 But really, we weren't here for the XLBs, it was all about the noodles. 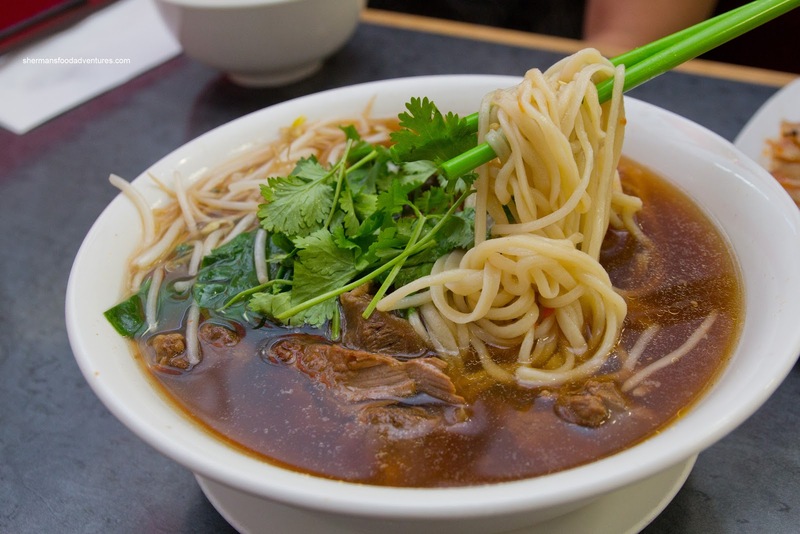 And as such, we got an order of their Stewed Beef Noodles. Despite not looking it, the soup had a kick with a low rumbling heat that hit our taste buds at the end. However, there was a lack of depth. The beef was somewhat tender while the noodles were al dente and somewhat chewy. Pretty decent. Lastly, we got an order of their XO Fried Cutting Noodles. It was a fairly large portion that we didn't end up finishing. It wasn't because we didn't like it either. 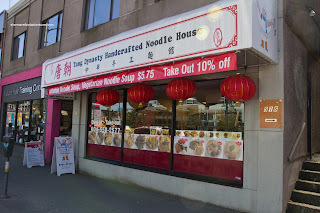 In fact, it was pretty good with chewy cut noodles. Furthermore, there was plenty of flavour from the XO sauce and other seasonings. It was somewhat spicy as well, but we could've stood for spicier. All-in-all, a decent meal where the noodles were better than the supporting cast. If we had to compare, it would be Peaceful > Tang Dynasty > Sha Lin.